Content note: This post discusses the accidental death of a child. A grieving mum says she is “living through hell” after a terrible accident saw her one-year-old baby girl Jessica become fatally tangled in the cord of a baby monitor. As an inquiry gets underway into this terrible accident, this poor family hope that anyone who uses a baby monitor will think carefully about where it’s positioned – even if it seems like their child can’t possibly reach it. Jessica had been put down for one of her usual afternoon naps when her father Jason checked the monitor vision and realised the camera in her room had somehow shifted. The camera was usually positioned on a shelf with the cord running down the back of the wall behind it. When he went to check what was going on he discovered that Jessica had managed to grasp the lead connected to the monitor camera and had become tangled it in. 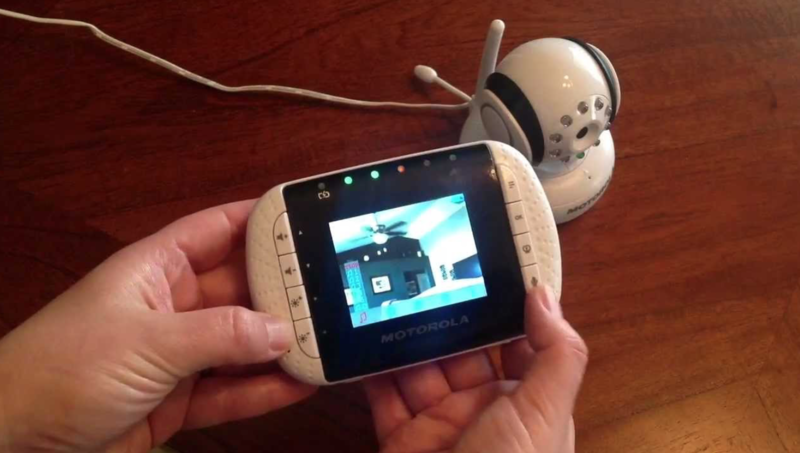 She was unresponsive with the cord from a Motorola baby monitor wrapped around her neck. The little girl was rushed to hospital, but tragically she was unable to be revived. Jessica was the only child of Danielle and Jason Duggar. A devastated Danielle had hoped the monitor would keep her baby safe and had no idea she could reach the wires attached to the back of the camera. The video baby monitor had been placed on a shelf above the cot, the BBC says. A police statement noted that “the cables from the monitor were accessible through the bars of the cot” but there “was nothing to suggest that this is anything other than a tragic accident”. “I would urge that parents are really careful when setting up their monitors,” Danielle later told The Sun, explaining that a police officer who attended their home after the accident was prompted to reposition his own baby monitor after seeing what happened to this poor family. Our thoughts are with Danielle and Jason as they navigate this terrible loss.